A school previously rated inadequate and placed in special measures is now in the top 5% performing schools in England. 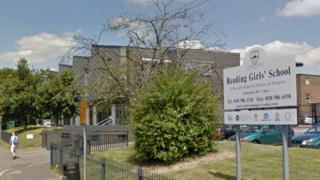 Reading Girls' School, in Whitley, Berkshire, is now the best performing non-selective school in Reading. It was placed in special measures in 2016 after Ofsted inspectors criticised its leadership and quality of teaching. Principal Jon Gargan said the school was a "world away" from its previous inadequate inspection in 2015. But Mr Gargan, who has lived in Whitley for 20 years, told the Local Democracy Reporting Service the academy still had a bad reputation, which was "not fair on the kids". "If it were in Caversham, it would be full," he said. "People have a stereotypical perception of schools in rough areas." Money that was spent on agency supply teachers is now put forward for extra tutoring for Year 11 pupils. In 2015, inspectors found too little teaching took account of the different abilities of pupils and disadvantaged children made poor progress. At the time, the school said it was disappointed but promised to improve results. And now "the best thing about the school by a country mile is the kids in it", said Mr Gargan. "When parents come in, they are gobsmacked. It's a world away from 2015," he added.